1.1. Changes. 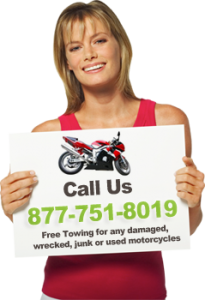 The web site and IVR are provided by TheBikeBuyers here in known as TBB or TheBikeBuyers. TheBikeBuyers reserves the right, at its discretion, to change the terms of this Agreement and/or change, suspend, discontinue or modify any aspect of the web site. Such modifications may include, without limitation, changes in content, in user priorities, and discontinuance of functional aspects of the web site or IVR. 1.2. Notices of Changes. We may amend this Agreement at any time without specific notice to you. The latest Agreement will be posted on our web site, and you should review this Agreement prior to using the web site and IVR. You agree to review the terms and conditions of this Agreement periodically to be aware of such revisions. Additionally, your continued use of the web site after the posting of any change in the terms and conditions shall constitute your acceptance to be bound by the express terms of any such changes. 1.3. Use of Information or Services. All visitors are notified and agree that we do not assume any responsibility for problems and losses experienced by using our web site’s information or services. If you take action to buy, sell, or invest after visiting our web site and it causes you to take an action that results in a loss of money, property, profits, opportunity costs, or any other loss on your part, you may not sue us to recover that money (loss). We only provide a service to independent individual investors, sellers, and buyers that are each totally responsible for the results of their own actions. 1.4. Revocable License. You are hereby granted a non-exclusive, non-transferable, revocable license (a) to access and use the web site strictly in accordance with this Agreement; and (b) to use the web site solely for internal, personal, non-commercial purposes. We do not represent, or warrant that the web site will be error-free, free of viruses, or other harmful components, or that any defects will be corrected. We do not represent, or warrant that the information available on, or through the web site will be correct, accurate, timely, useful, complete, or otherwise reliable. 2.1. Copyright and Trademark Notice. All content of the web site and service or IVR provided by TheBikeBuyers, including, but not limited to, all text, photos, graphics, audio, software, presentations in any format and/or video is copyrighted by TheBikeBuyers. All rights reserved. No portion of the information or other materials may be directly or indirectly copied, published, reproduced, modified, performed, displayed, sold, transmitted, published, broadcast, rewritten for broadcast or publication or redistributed in any medium, whether now known or hereafter created. No portion of the information or other materials may be stored in a computer or distributed over any network, except that you may download or print one copy of pages strictly for personal and non-commercial use. However, any print out of any page of the web site and IVR or portion thereof, must include TheBikeBuyers’s copyright notice. TheBikeBuyers, and its associated logos, page headers, custom graphics, buttons, and other icons are service marks, trademarks, registered service marks, registered trademarks, or trade dress of TheBikeBuyers. All other content, product names, and company logos are trademarks of their respective owners. Neither these materials, nor any portion thereof, may be stored in a computer except as reasonably necessary for personal and non-commercial use. 2.2. Restricted Use of the Site and IVR. You agree to use the web site for lawful purposes only. You agree not to post or transmit any information through the web site which: (a) infringes the rights of others or violates their privacy or publicity rights, (b) is unlawful, threatening, abusive, defamatory, libelous, vulgar, obscene, profane, indecent or otherwise objectionable, or (c) is protected by patent, copyright, trademark or other proprietary right without the express permission of the owner of such right. You shall be solely liable for any damages resulting from any infringement of patent, copyright, trademark or other proprietary rights, or any other harm resulting from your use of the web site. 2.3. Your Submission of Messages. You hereby grant to TheBikeBuyers a worldwide, royalty-free, perpetual, irrevocable, non-exclusive right and license to use, reproduce, modify, adapt, publish, translate, create derivative works from, distribute, perform, display and use for any purpose all messages or other materials posted by you on the web site or any e-mail sent by you to TheBikeBuyers (in whole or in part) and to incorporate any such messages or other materials or e-mails in any form, into other media or technology whether now known or hereafter developed. You acknowledge that TheBikeBuyers does not pre-screen Third-Party Content, but that TheBikeBuyers and its designees shall have the right (but not the obligation) in their sole discretion to refuse or move any Third-Party Content that is available via the web site. Without limiting the foregoing, TheBikeBuyers and its designees shall have the right to remove any Third-Party Content that violates this Agreement or is otherwise objectionable. You agree that you must evaluate, and bear all risks associated with, the use of any Third-Party Content, including any reliance on the accuracy, completeness, or usefulness of such Third-Party Content. You acknowledge and agree that TheBikeBuyers may preserve Third-Party Content and may also disclose Third-Party Content if required to do so by law or in the good faith belief that such preservation or disclosure is reasonably necessary to: (a) comply with legal process; (b) enforce this Agreement; (c) respond to claims that any Third-Party Content violates the rights of other third-parties; or (d) protect the rights, property, or personal safety of TheBikeBuyers, its users, or the public. 2.5. Linking. Without the prior written consent of TheBikeBuyers, you may not use any of TheBikeBuyers’s proprietary logos, marks, or other distinctive graphics, video, or audio material in your links. You may not link to the web site or to any page thereof or engage in the practice of “deep linking” in any manner reasonably likely to: (a) imply affiliation with or endorsement or sponsorship of or by TheBikeBuyers; (b) cause confusion, mistake, or deception; (c) dilute TheBikeBuyers’s trademarks or service marks; (d) otherwise violate state or federal law; or (e) constitute improper disparagement or disclosure concerning TheBikeBuyers or any of its respective affiliates, or their respective officers, directors, agents, franchises, or Vendors. You may not frame or otherwise incorporate into another web site any of the information or other materials on this web site without the prior written consent of TheBikeBuyers. TheBikeBuyers, its affiliates, subsidiaries, and Vendors shall have no responsibility to provide you access to the web site. Further, TheBikeBuyers, its affiliates, subsidiaries, and Vendors shall not be liable to you for any loss or liability resulting, directly or indirectly, from delays, inaccuracies, errors, omissions or interruptions of the web site for any reason, including, without limitation, due to electronic or mechanical equipment failures, telephone interconnect problems, defects, weather, strikes, walkouts, fire, acts of God, riots, armed conflicts, acts of war, acts of terrorism, or to other like causes. You acknowledge that TheBikeBuyers reserves the right to, and may from time to time, monitor for all lawful purposes any and all Third-Party Content transmitted or received through the web site. During monitoring, information may be examined, recorded, copied, and used for authorized purposes. All Third-Party Content, including personal information, placed on or sent over the web site may be monitored. Use of the web site, authorized or unauthorized, constitutes consent to such monitoring and to the other terms of this Agreement. 5.1. General Disclaimer and Limited Warranty. You acknowledge that certain aspects of the information on the web site and links provided through the web site are compiled from sources which may be beyond the control of TheBikeBuyers. Though such information and links are recognized by the parties to be generally reliable, the parties acknowledge that inaccuracies may occur. TheBikeBuyers, its licensees or affiliates do not warrant the accuracy or suitability of any such information. Neither TheBikeBuyers nor its licensees or affiliates represent or endorse the accuracy or reliability of the information distributed through the Service. FOR THIS REASON, YOU ACKNOWLEDGE THAT THE WEB SITE IS PROVIDED TO YOU ON AN “AS IS WITH ALL FAULTS” BASIS. TheBikeBuyers AND ITS LICENSEES AND AFFILIATES EXPRESSLY DISCLAIM ANY AND ALL WARRANTIES, WHETHER EXPRESS, ORAL, IMPLIED, STATUTORY OR OTHERWISE, INCLUDING ANY IMPLIED WARRANTY OF MERCHANTABILITY, FITNESS FOR A PARTICULAR PURPOSE, TITLE, NON-INFRINGEMENT, OR ANY WARRANTIES ARISING BY VIRTUE OF CUSTOM OF TRADE OR COURSE OF DEALING. FURTHER, TheBikeBuyers AND ITS LICENSEES AND AFFILIATES NEITHER REPRESENT NOR WARRANT THAT THE WEB SITE WILL MEET YOUR REQUIREMENTS OR IS SUITABLE FOR YOUR NEEDS OR WILL ACHIEVE ANY DESIRED RESULT. 5.2. Errors and Omissions. You assume all risk of errors and omissions in the web site, including the transmission or translation of data. You assume full responsibility for implementing sufficient procedures and checks to satisfy your requirements for the accuracy and suitability of the web site, including the information, and for maintaining any means which you may require for the reconstruction of lost data or subsequent manipulations or analyses of the Information provided under this Agreement. 5.3. Viruses. YOU ACKNOWLEDGE AND AGREE THAT TheBikeBuyers USES REASONABLE EFFORTS TO ASSURE THAT NO VIRUSES OR PROGRAMS WITH SIMILAR FUNCTIONS OPERATE ON, OR ARE PASSED THROUGH, THE WEB SITE OR THE INFORMATION ON THE WEBSITE. HOWEVER, YOU HEREBY ASSUME ALL RESPONSIBILITY (AND THEREBY HOLD TheBikeBuyers HARMLESS), BY WHATEVER MEANS YOU DEEM MOST APPROPRIATE FOR YOUR NEEDS, FOR DETECTING AND ERADICATING ANY VIRUS OR PROGRAM WITH A SIMILAR FUNCTION. 5.4. LIMITATION OF LIABILITY. YOU AGREE THAT TheBikeBuyers AND ITS AFFILIATES, SUBSIDIARIES, AND VENDORS SHALL NOT IN ANY EVENT BE LIABLE FOR ANY SPECIAL, INCIDENTAL OR CONSEQUENTIAL DAMAGES ARISING OUT OF THE USE OR INABILITY TO USE THE WEB SITE FOR ANY PURPOSE WHATSOEVER. THE PROVISIONS CONTAINED IN THIS SECTION SHALL SURVIVE TERMINATION OF THIS AGREEMENT. 5.5. FTC NOTICE. SOME STATES DO NOT ALLOW LIMITATIONS ON HOW LONG AN IMPLIED WARRANTY LASTS, SO THE ABOVE LIMITATION MAY NOT APPLY TO YOU. SOME STATES DO NOT ALLOW THE EXCLUSION OR LIMITATION OF INCIDENTAL OR CONSEQUENTIAL DAMAGES, SO THE ABOVE LIMITATION OR EXCLUSION MAY NOT APPLY TO YOU. THIS WARRANTY GIVES YOU SPECIFIC LEGAL RIGHTS, AND YOU MAY ALSO HAVE OTHER RIGHTS WHICH VARY FROM STATE TO STATE. YOU SHALL RELEASE, DISCHARGE, AND RELINQUISH, DEFEND, INDEMNIFY, AND HOLD HARMLESS TheBikeBuyers AND ITS AFFILIATES, SUBSIDIARIES, AND VENDORS, AND EACH OF THEIR MEMBERS, SHAREHOLDERS, DIRECTORS, EMPLOYEES, AGENTS, REPRESENTATIVES, VENDORS, AND CONTRACTORS OF WHATEVER TIER (COLLECTIVELY, THE INDEMNITEES) FROM AND AGAINST ALL LOSS, CLAIMS, DEMANDS AND CAUSES OF ACTION OF WHATEVER KIND OR CHARACTER, INCLUDING WITHOUT LIMITATION COSTS, ATTORNEYS’ FEES AND EXPENSES INCURRED IN CONNECTION WITH ANY CLAIM BROUGHT BY ANY PERSON(S) OR ENTITY(IES) ARISING FROM, IN CONNECTION WITH, OR RELATING TO, YOUR ACCESS AND USE OF THE WEB SITE, INCLUDING YOUR USE OF THE INFORMATION OBTAINED THROUGH THE WEB SITE. THE OBLIGATIONS TO RELEASE, DEFEND AND TO INDEMNIFY CONTAINED IN THIS SECTION SHALL APPLY EVEN IF CAUSED, IN WHOLE OR IN PART, BY THE JOINT, SOLE, GROSS OR CONCURRENT NEGLIGENCE, STRICT LIABILITY, CONTRACTUAL LIABILITIES OF THIRD PARTIES, OR OTHER FAULT, WHETHER PASSIVE OR ACTIVE, OF ANY PERSON OR ENTITY, INCLUDING BUT NOT LIMITED TO THE INDEMNITEES, JOINTLY OR SEVERALLY. YOU SHALL COOPERATE AS FULLY AS REASONABLY REQUIRED IN THE DEFENSE OF ANY SUCH CLAIM. E. Unless you are otherwise notified at the time we collect the data. Note also, your electronic mail address may become public when you participate in web site electronic forums. We may also conform to the standard practice of using “cookies” which, when you sign on to our site, automatically copies a small record file (“cookie”) to your hard disk. 7.2. Privacy of Minors. Protecting the privacy of children is especially important. TheBikeBuyers does not knowingly collect information about children and will delete any such information that it discovers or of which it is made aware. 7.4. Other Sites and Their Policies. Other sites that may be accessed through our web site will have their own privacy policies and rules. You must ensure that you agree to these terms when entering their web sites. We cannot be held liable for any information, or exchange of data while on any other web site. 8.1. Unsolicited E-mail. TheBikeBuyers supports responsible e-commerce. TheBikeBuyers does not authorize anyone to use the web site to broadcast, distribute, transmit or retransmit unsolicited commercial, non-commercial, bulk, or junk electronic mail (“SPAM”). 8.2. Electronic Direct Marketing Programs. TheBikeBuyers may develop and participate in electronic direct marketing to users of the web site who elect to receive electronic mail of specific interest to them. In keeping with this Agreement, TheBikeBuyers does not forward the names and addresses (electronic or otherwise) to third parties. Advertisers who participate in TheBikeBuyers’s electronic direct marketing programs identify the category of users who would most likely be interested in their goods and services. TheBikeBuyers then forwards the advertisements to users who have elected to receive that category of electronic mail. Users may elect to not receive similar electronic mail by requesting that their e-mail address be removed from the mailing list by selecting the appropriate option included with each e-mail advertisement sent by TheBikeBuyers. In addition, users may elect to be removed from such lists at any time by sending a message to the System admin support@TheBikeBuyers.com . 8.4. Reservation of Rights. TheBikeBuyers reserves the right to take all legal or technical steps that it deems necessary to prevent the broadcast, distribution, transmission, or retransmission over the web site of SPAM, junk e-mail, threatening or offensive e-mail, or e-mail otherwise determined by TheBikeBuyers, in its sole discretion, to be objectionable. TheBikeBuyers reserves the right to suspend or terminate any person or entity’s use of or access to the web site if it determines, in its sole and absolute discretion, that such person or entity has used or intends to use the web site in violation of this policy. A failure of TheBikeBuyers to exercise any right provided for herein shall not be deemed to be a waiver of such right. 9.1. Governing Law; Limitations; Venue. The laws of the State of Florida, excluding any rule or principle that would refer to and apply the substantive law of another state or jurisdiction, shall govern this Agreement. To the extent allowed by applicable law, any claims or causes of action arising from or relating to your access and use of the web site or IVR as contemplated by this Agreement must be instituted within two (1) year from the date upon which such claim or cause arose. Further, any such claim or cause of action shall be brought EXCLUSIVELY in the state or federal courts located in Palm County, Florida and you agree to submit to the exclusive personal jurisdiction of such courts and hereby appoint the Secretary of State of Ohio as your agent for service of process. You agree to waive any objection that the state or federal courts of Palm County, Florida are an inconvenient forum. 9.2. Assignments. You may not assign any of your rights, obligations, privileges, or performance hereunder without the prior written consent of TheBikeBuyers. Any assignment other than as provided for in this Section shall be null and void. 9.3. Severability. If any provision of this Agreement is found to be unlawful or unenforceable in any respect, the court shall reform such provision so as to render it enforceable (or, if it is not possible to reform such provision so as to make it enforceable, then delete such provision); and, as so reformed or modified, fully enforce this Agreement. 9.4. U.S. Government Restricted Rights; Export. The materials on the web site are provided with “RESTRICTED RIGHTS.” Use, duplication or disclosure by the Government is subject to restrictions as set forth in applicable laws and regulations. Use of the materials by the Government constitutes acknowledgement of TheBikeBuyers’s proprietary rights in them. You may not use or export the information or any other materials in this web site in violation of U.S. export laws and regulations. 9.5. Termination. TheBikeBuyers may terminate or suspend your use of the web site for any reason. Termination or cancellation of your use of the web site shall not affect any right or relief to which TheBikeBuyers may be entitled, at law or in equity. Upon termination or cancellation, all rights granted to you will terminate and revert to TheBikeBuyers. ANY RIGHTS NOT EXPRESSLY GRANTED HEREIN ARE RESERVED BY TheBikeBuyers.